"الله بالخيرات... يا هلا ولد عمي"
"لا بس بقيت استعين بخدماتك حبيبي"
"ايه حاضرين... اول قولي وين رايح بس؟"
"مو مشكلة الحين... بس إفتح و إنشاءالله اقولك"
"معلش إعذرني... بس اول وين رايح؟"
" ! ولييين... ميخالف الحين إفتح... مايصير الفضايح هني برهّ"
"إنزين لاتطول صوتك لو سمحت! وين قاعد انت؟"
"اووهووو... شوف إفتح ما دامت النفس طيبة"
"خبل انت؟ ما تفهم عربي؟!! اقولك اول شي قولي وين رايح؟"
"عجيييييب!!! صج انك جليل الحيا"
"الشرها مو عليك!!! الشرها على الي يابوك! جليل الحيه"
"طول بالك حبيبي... صل عالنبي"
"اللهم صلي و سلم عليه"
"شوف مو عشان وياك ربعك تتفلسف!!! وين المدير؟؟!!!!! 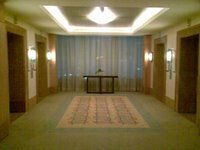 ابي المدير"
lakin ma fahamt 3adil sheno 9aar fe el hotel .. enta be'3yt tarkib el a9an9air? first of all.. thank you for the encouraging comments. i apologize for the vagueness of the post. the whole issue is that i took a seminar in Marriot courtyard and was riding the elevator daily for almost a week. 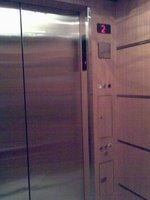 I hated the way the elevator interacts with people. 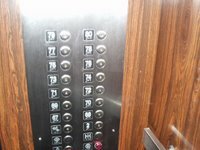 Those new elevators don't have floor buttons from the inside. 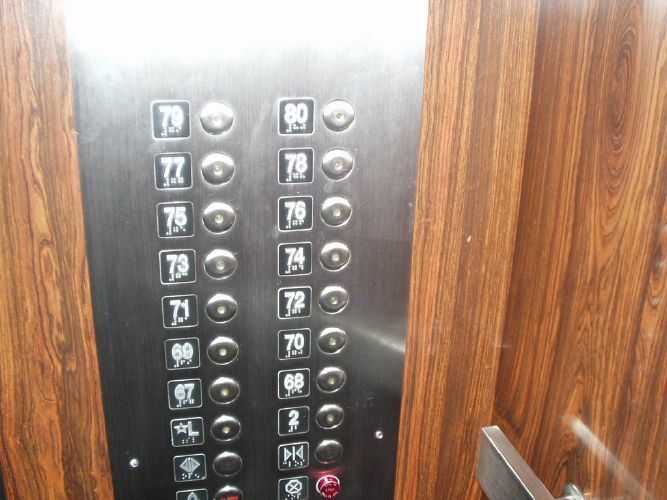 You just press which floor you'd like to go to from the outside and it will take you there, AND ONLY THERE. 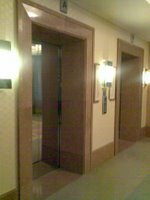 remember the elevators of old... when there would be someone actually sitting inside the elevator operating it... so, this is the journey we took as "elevator riders"? From someone actually greeting us, to losing the possibility of changing our minds once we're inside? also, kila ma6goog is OVER!!! :P he's done for!!! mako tang! vimto wo BES!!! :P laaaa wo azeedich min el shi3ir baytaaaa :P vimto elqadeeem! ely shakla im7azir bes oho mom7azir. why??? why am i saying this??? i don't know :( i can't help myself! Akheeran, basna 7izb Allah o siyaasa!! Ana ma3aaak, maa a7ib hal 3uqad! I totally sympathize!!!! 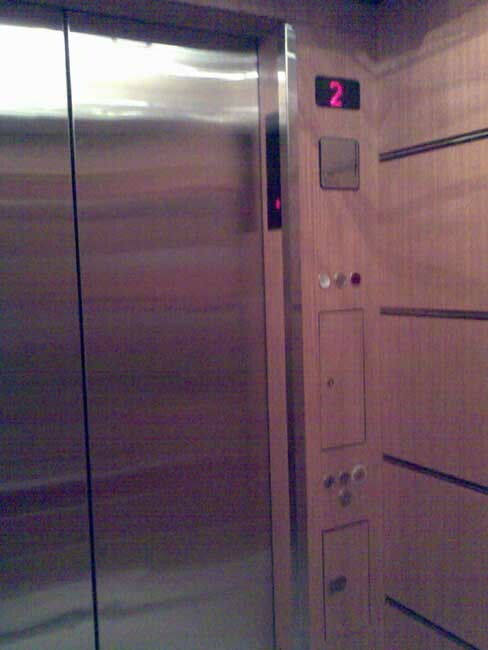 I hate them elevators too!!! 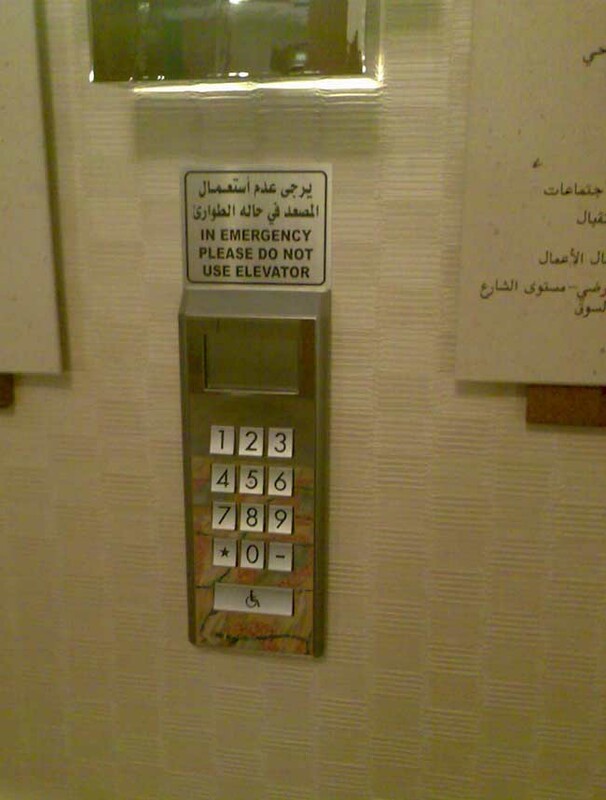 Here in Egypt, an elevator recites for you "du3a2 el rokoob"
So what are you saying? I’m schizophrenic? Who said that? The elevator talks to me? Wait wait… yes I’m also claustrophobic! you made me laugh ..
elmohem..khalna men vimto oo tanQ oo hal sowalef malot 3yal mcdonald's.. I think it's a matter of you accepting the idea of those elevators and welcoming their arrival. so my advice is to deal with it since you might see alot of them around and your old friend the " conventional elevator" will soon be an outcast! offffffffffff @@ !! wallah jad !! 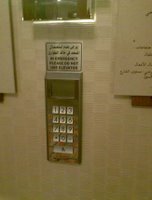 o ma7ad ta9aurif .. wala 7ad 3aqab hatha jleel il 7aya !! ma fahamt shay! sej ma fahamt shay! OMG! MA FAHAMT!